JMeter comprises of various elements which co-relates with each other but designed for different purposes. Before you start working on JMeter, it is goodto know some of the major elements of JMeter with full detail description. 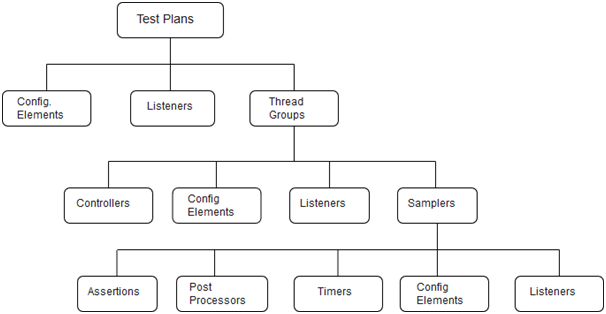 Note: A Test Plan comprises of at least one Thread Group.